Disk defragmentation can take few hours. 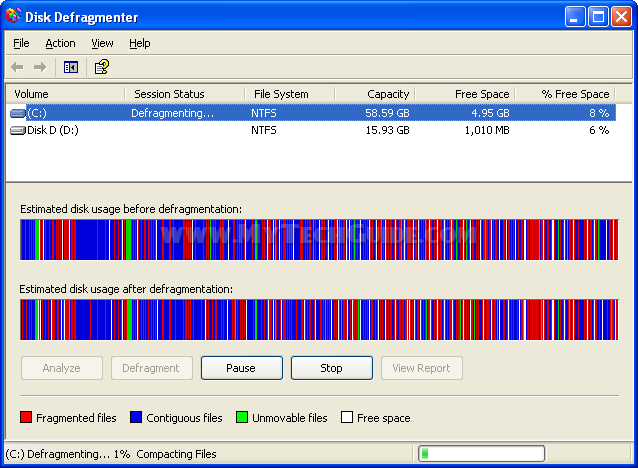 Make sure that you have at least 15% free space before defragmenting. Best thing to do is to close all programs, and run defragmentation at night without using your computer. Too trrieble you can’t turn it off for one disk and leave it on for another hard disk..
on the internet the simplest factor to remember of. Greetings, I believe your website might be having internet browseer compatibility problems.